This week seems to have flown by, taking with it my Smash Book time. 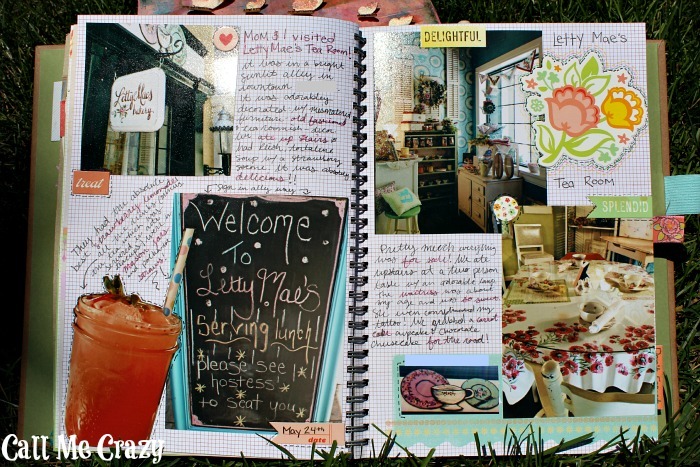 I did this layout a few weeks ago about a trip my mom and I took to this adorable tea room! It was pretty far away, but definitely worth it. I just used pictures I took on my phone and then journaled about the day. I love using cute little stickers to mark the date and just add aroable little sayings that are relevant to the day. I also used a pretty big sticker in this one, I just thought the bright floral match the feel of the resturaunt. I absolutely loved their strawberry lemonade, so with the picture that I snapped, I cut out the background and just had the drink pop up from the bottom of the page. I love it! I usually go dash-outlining crazy on my smash pages. It's just relaxing for me and I think it just really finishes off the pages. I did multiple dash-outline colors around the big floral sticker and around all the other stickers and my drink on the page. I buy all of my supplies at my local crafts stores (Micheal's, JoAnn, Archiver's). Here, I'll list links where you can find them online. The links will take you to Amazon, Blue Moon Scrapbooking and Staples. -Retro Blue Smash Book Bought at Micheal's. -Dear Lizzy Neapolitan (stickers) Bought at Archiver's. -LePlume Doubled Ended Markers Bought at Micheal's. August 17th: Pet Love- Dedicate a page just to your pet or just any animal. Take some pictures and write down some of your favorite memories. Seriously, Katie: I WANT YOUR TALENT. I've always wanted to start up a scrapbook/journal, but I'm lazy and sloppy so it wouldn't look nearly as pretty, no matter how hard I tried lol. Looks so great! Thank you for such a nice, clear and inspiring blog! 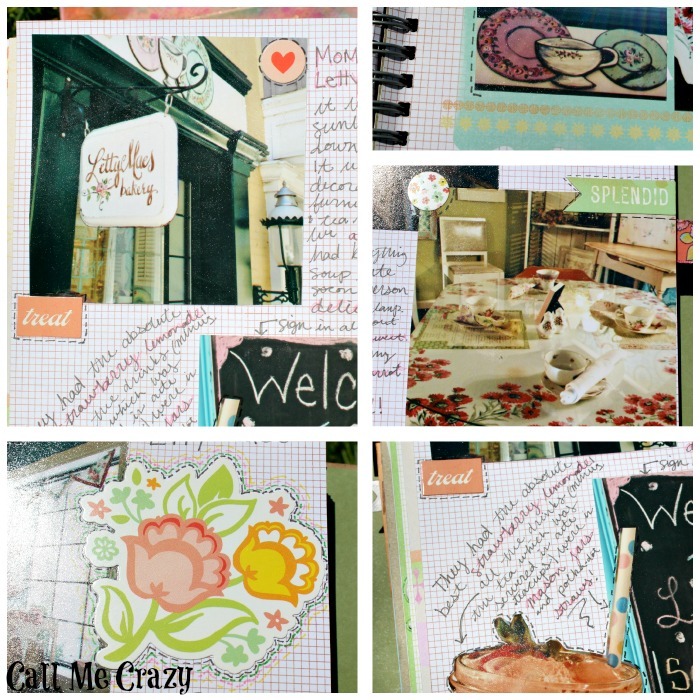 I just started to journal, then zentangle, now I see how I can combine them along with scraping all into one smashbook! I am so excited. I am a college prof and needed a creative and relaxing outlet and I think this is just the thing! Thank you! !